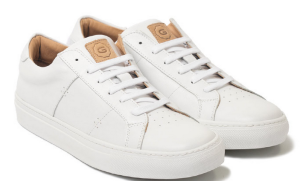 GREATS is an American brand of footwear for men that was started with the idea of building high-quality, classy sneakers for less. With Big Apple Buddy’s personal shopping service, you can now buy direct from the GREATS online store anytime, anywhere. Here, you can shop from a variety of footwear styles, from casual to dressy. 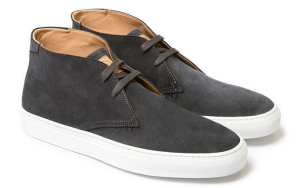 The Royale Chukka is a good in-between shoe, and you can decide whether you want to dress it up or down. Made of full-grain premium Italian suede, this shoe has calfskin lining and a plush footbed on the inside, so you can be comfortable wearing it with or without socks. This elegant shoe delivers top-notch quality at an affordable price, so your wallet doesn’t have to suffer. The Royale is a great shoe if you’re going for a more casual look, and it comes in a wide variety of colors, so you can choose whichever one matches your wardrobe the most. This leather sneaker is handmade in Italy by some of the most renowned craftsmen and then delivered directly to your doorstep, so you can enjoy the high-quality, Italian look without the high price. If you’re looking for a running/athletic sneaker, you’re in luck. Not only is GREATS’ Bab Low Sneaker fashionable, but it is a lightweight, comfortable shoe that is perfect for running. 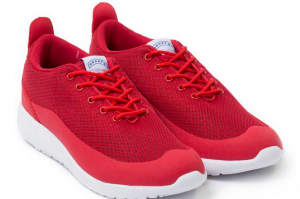 You can wear this sleek and airy shoe whether you’re heading out for a jog or just walking around town -- and it won’t be obvious that you’re wearing running sneakers. This sneaker also comes in a variety of colors, so take your pick! Unfortunately, the USA GREATS online store does not currently offer international shipping. However, Big Apple Buddy, your personal shopper, can help you buy products direct from the official USA GREATS online store and ship them to your doorstep, no matter where you are in the world. If you would like to buy from the USA GREATS online store, simply let us know which items you would like to order (by filling out the form below) and we’ll get back to you with a free international shipping quote within 24 hours!